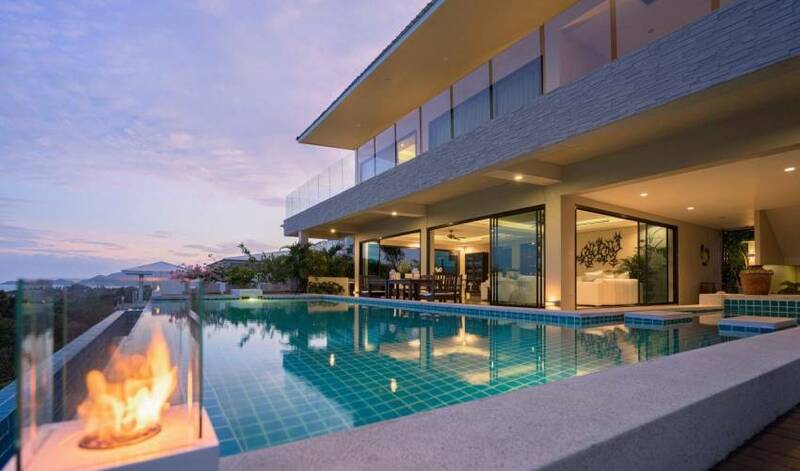 When entering Villa 4509, what grabs your attention first, are the unobstructed, spectacular views over the bay, and to the small island of Koh Matlang. 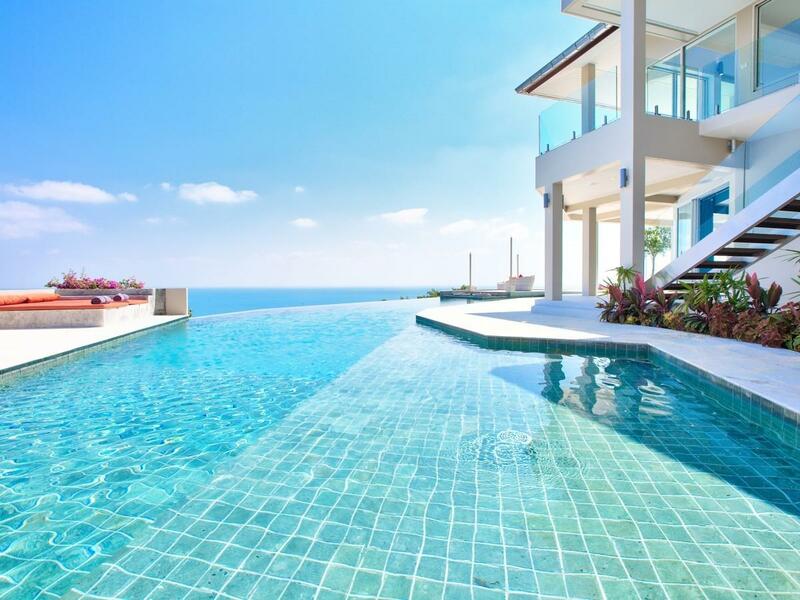 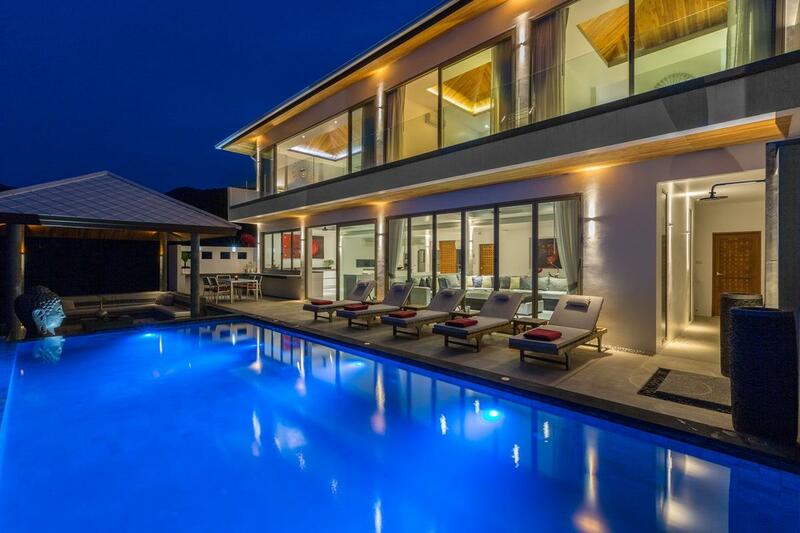 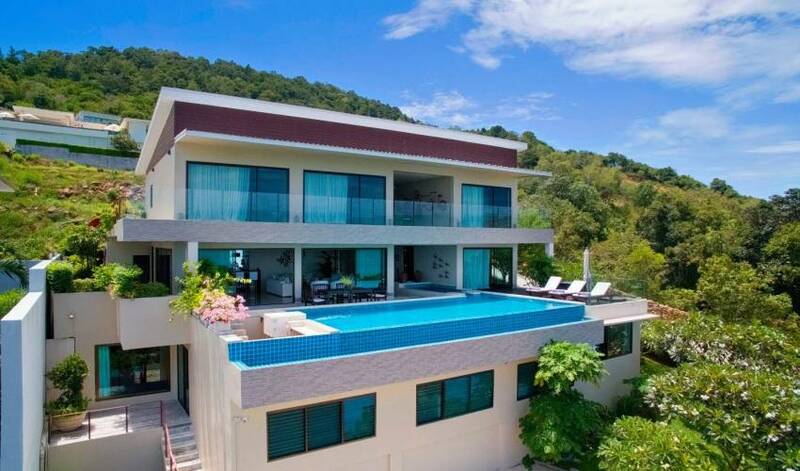 This 6-bedroomed villa is ideally located on a private estate on the hillside in North Chaweng. 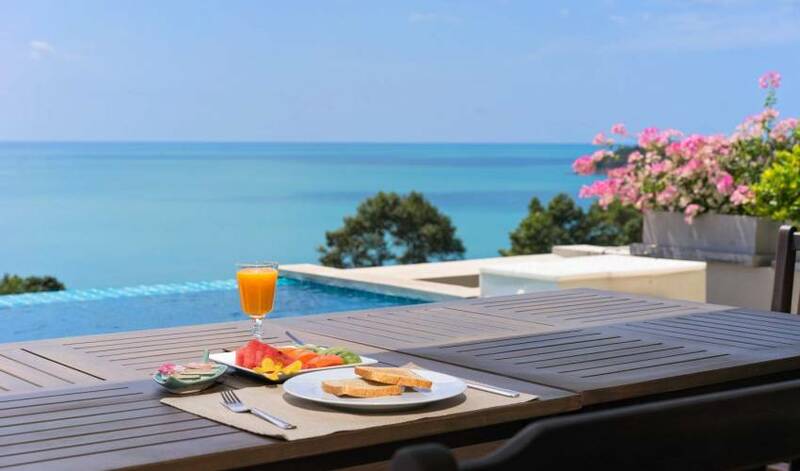 Visitors are close enough to the hustle and bustle and all that Chaweng has to offer, yet away from the noise and crowds that accompany Samui’s busiest beach. 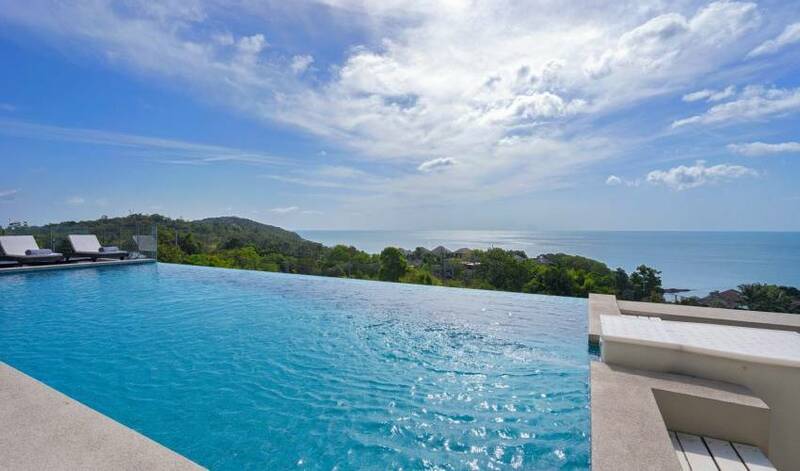 Of course, if you’re after a quieter beach, the picturesque beach at Choeng Mon is only a 5-minute drive away. 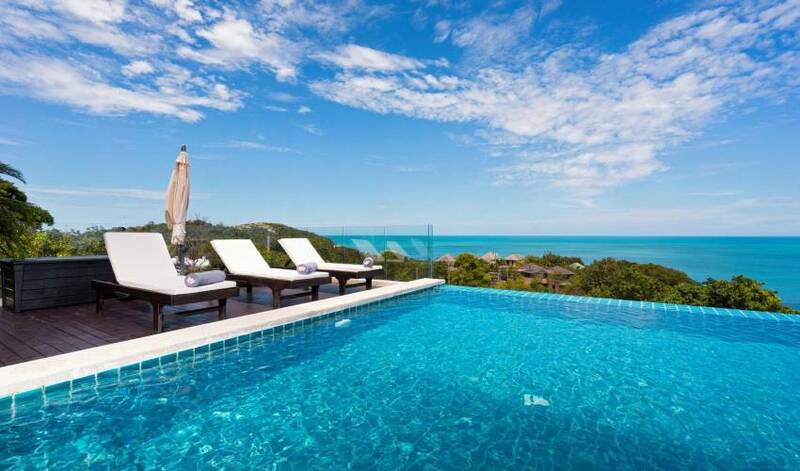 The spacious, well-appointed villa is the perfect combination of areas for private reflection, as well as spaces to come together as a group and socialise. 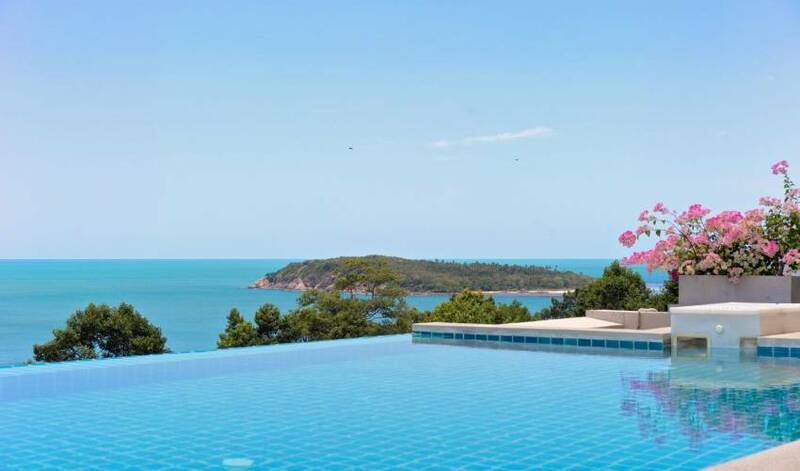 The villa sprawls over three levels, with the living and dining room, as well as all six bedrooms taking full advantage of the amazing views. 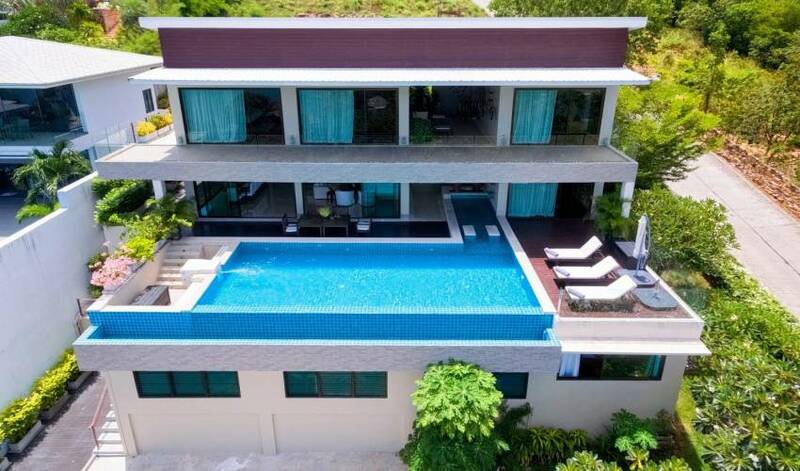 Villa 4509 makes the ideal ‘fair share’ option, as all six bedrooms are of equal proportion, and all offer king-size beds, making it the perfect choice for groups of friends or extended families visiting Samui.